This week, Your News to Know rounds up the top news stories involving the gold market and the overall economy. 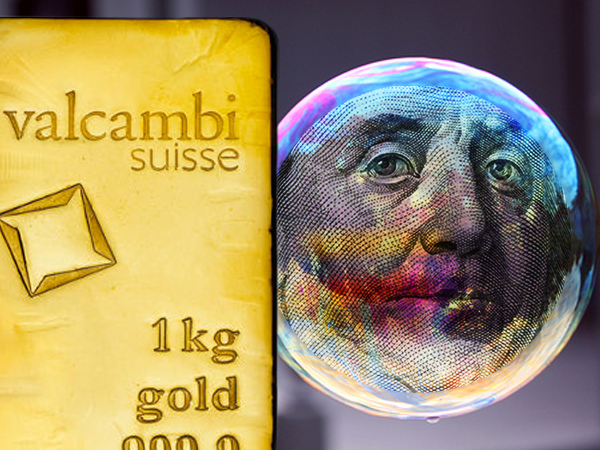 Stories include: Gold investors smell a rat in ‘animal spirits’ market, money managers no longer hate gold, and currency pioneers are molding a nation of gold. As noted by MarketWatch’s Barbara Kollmeyer, few are willing to bet against stocks amid the market’s ongoing record-breaking rally. And while some are attributing the stock market’s performance to President Trump’s promise of a “massive” tax plan in the “not-too-distant future”, others – like IG’s Chris Weston – see a different force driving the rally. Yet even if stocks roll over sooner rather than later, people will have a safe place to turn to. Kollmeyer cites a piece from The Big Breakout blog, which notes that gold is moving in a non-traditional manner – as opposed to having an inverse relationship with stocks, the metal is rallying alongside them, posting a 7.3% gain so far this year opposite the S&P 500’s 5%. The latest monthly survey by Bank of America Merrill Lynch, which polled nearly 200 money managers with a combined $543 billion in assets under management, saw a clear uptick in positive gold sentiment. Despite traditionally showing little love for the yellow metal due to its zero-yielding properties, big fund managers from around the globe are now calling it undervalued. MarketWatch’s Brett Arends reminds us that this has only happened three times in the last 10 years. The last two times money managers said gold was cheap – January 2009 and January 2015 – gold shot up in price afterwards, and Arends believes this is no coincidence. But what is behind their renewed interest in gold? As Arends explains, the latest survey opinion isn’t just passing interest, which means that the fund managers have good reasons for warming up to the metal. Despite the optimism from the stock market, plenty of risks remain, such as valuation, inflation, rising interest rates and global trade conflict. During his campaign, Donald Trump said that financial assets were in a “big fat bubble”, and Arends presumes this bubble has only gotten bigger and fatter since Trump assumed office. The biggest risk is that Trump’s policies will pave the way to a mercantilist world where every country wants a cheaper currency – the U.S. already paid the price for a stronger dollar in the form of weaker exports and more expensive imports. Yet gold is the one currency that is outside the reach of central banks and therefore isn’t susceptible to these attempts to devalue currencies. Arends points to uncertainty as the second biggest risk to stocks, and uncertainty over governance and policy is a given with President Trump in office. To this end, Arends believes that professional money managers are quickly finding it reasonable to hold gold in their portfolio as opposed to forgoing the metal completely. Tolkunbek Abdygulov, the governor of Kyrgyzstan’s central bank, has an ambitious dream. His goal is for every one of the nation’s 6 million citizens to own at least 100 grams (about 3.5 ounces) of gold for the purposes of diversification and insurance. Abdygulov doesn’t hide his appreciation for the yellow metal – since taking the reins of Kyrgyzstan’s central bank in 2014, the country’s gold stockpile has surged by more than 70%, reaching 4.5 tons at the end of the third quarter in 2016. Now, after suffering economic crises in the early 1990s and bank failures during the last decade, the central bank keeps about 10% of its $2 billion holdings in bullion. Kyrgyzstan isn’t the only country in the emerging world to recently show its affinity for gold. For example, India recently took steps to curb its rampant imports of bullion, and Turkish president Recep Tayyip Erdogan urged his country’s citizens to convert foreign-currency savings into gold. Yet Kyrgyzstan and its central bank’s governor went a step further by providing infrastructure for gold-keeping and investment, producing bars between 1 and 100 grams as well as buying back any bullion that the landlocked Central Asian nation sold to its citizens. If Abdygulov follows through with his agenda, Kyrgyzstan’s population will own about 600 tons of gold, which is equivalent to 30 times the nation’s current annual output.